423 p., 16,6 x 24,4 cm. Hildegard (1098–1179) developed a concept of ethics which cannot be reduced to the question posed by »laboring« man: What should I do? The search for meaning corresponds to a greater degree to the question of obligation and in fact to a meaning conveyed by the aesthetic experience of the senses. The theological content of reflection cannot be separated from the concrete existence of the reflective person. 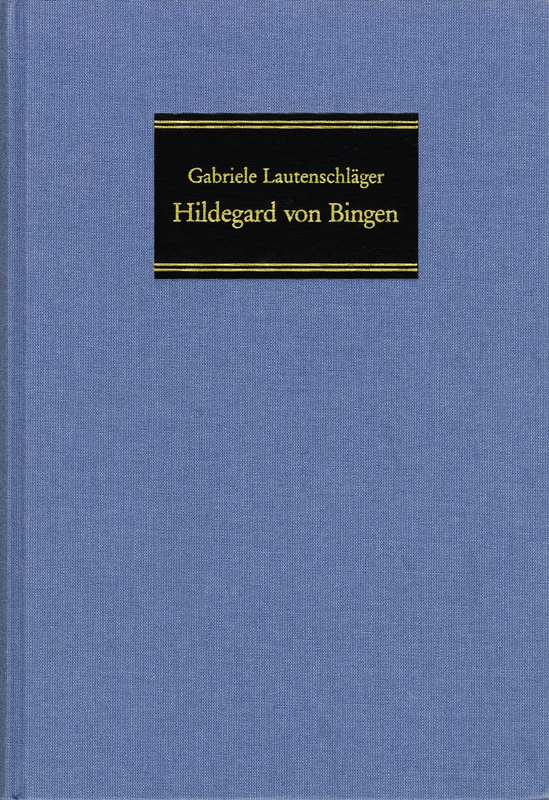 »Unvarnished and unlaughing« is how Hildegard had at one time revealed the true situation, the corruption and the pretentiousness of the powerful in religion and politics. At the same time, she was the skillful healer, who not only rubbed salt into the wounds of her time but also provided the means to heal these wounds. It is in this relationship fraught with the tension between the illuminated gift of the spirit and the art of psychosomatic healing, between theological knowledge and personal integrity that the reasons for Hildegard’s enduring relevance can be found. Hildegard von Bingen hat in neuester Zeit sehr viel Aufmerksamkeit gefunden […] Man freut sich daher, ein neues, umfassendes, sehr schön ausgestattetes Werk in die Hand zu bekommen. […] In einer umfangreichen Einleitung wird zunächst Hildegards eigenes Selbstverständnis und der mehrfache Sitz im Leben Ihrer Werke dargestellt. Darauf folgt der Hauptteil über die Grundlagen ihrer Ethik und Spiritualität. Hier wird die Natur im Kontext ethischer Reflexion dargestellt, dann Ethik als Wort-Geschehen und schließlich die Tugendlehre […] Wer Zeit und Konzentration aufbringt, wird sich reich belohnt finden.